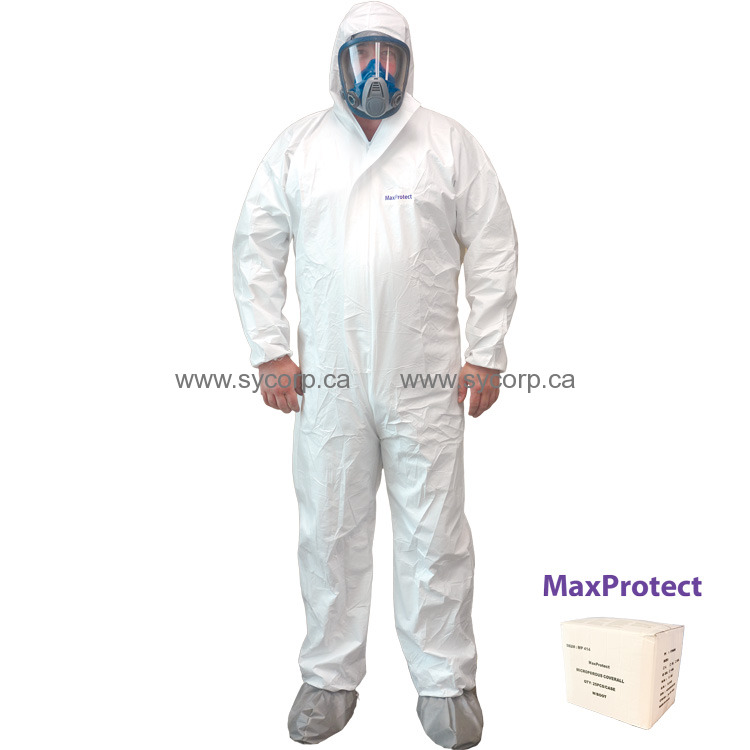 MaxProtect Microporous Coverall with Hood & Boots (sold by case of 25). The perfect cutting and special design of this superior coverall uniform offers protection without compromising comfort. It’s has an optimised body fit with increased range of movement. One-piece coverall, non-woven colour white, with hood zip front opening covered by a flap, elastic at cuffs, ankles, hood and waist, serged seams. Clothing can be worn to protect against spray, liquid aerosol, airborne solid particulates. Clothing with dissipative properties. Ideal for asbestos abatement and lead abatement.